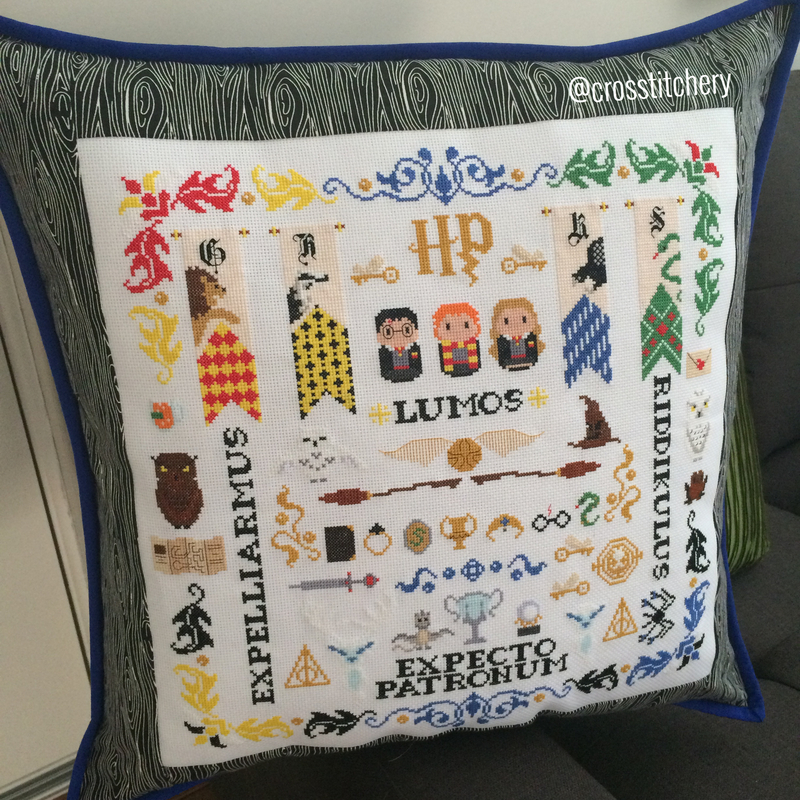 The first part of my latest commission is all done – Harry Potter sampler cross stitch pattern sewn into a cushion. This cushion is going to a new baby boy who’s nursery is a blue & forest themed space. I used a woodgrain fabric to suit the forest theme, and then bound the cushion in a bright, royal blue which had a nice contrast against the brown woodgrain fabric. 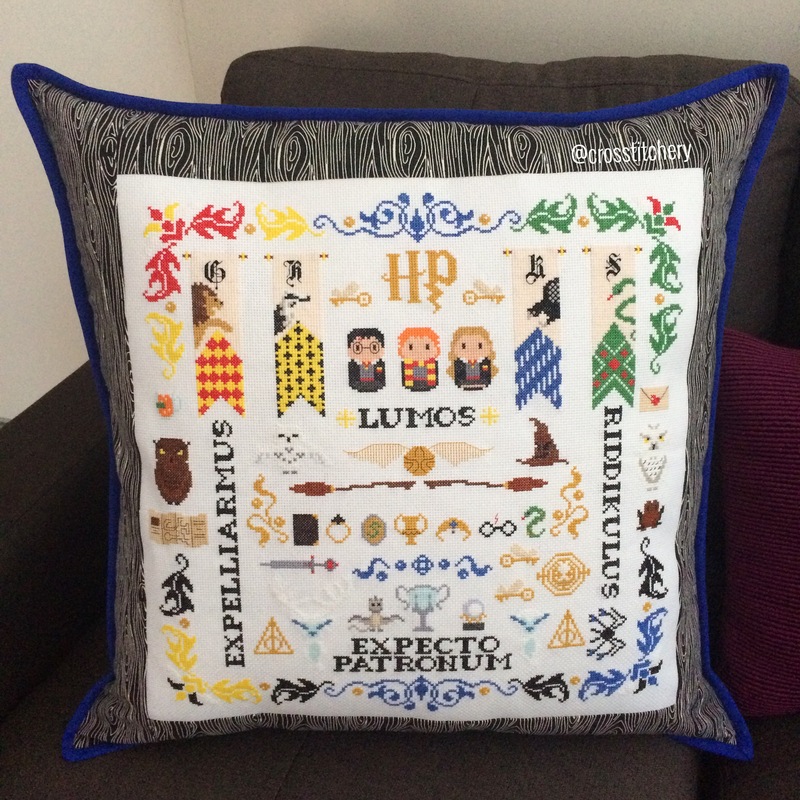 The cushion looks amazing in person (if I do say so myself hehe!). The woodgrain fabric looks amazing against the cross stitch, and almost gives it a magical feel. I absolutely love this woodgrain fabric, and I really wish I had’ve bought more when I saw it! I’m onto the next portion of this commission now, which is going to be a framed Marauder’s Map cross stitch for Tyler also. Would just like to wish you all a safe, happy, and craft Christmas and New Years also – all the best! I love this! Can’t wait to see how the Marauder’s Map turns out! Really good. Mostly good since then too! Congrats on the finish! it looks great! Thank you! :) Hope you and your family had a great Christmas. That is AMAZING!! I would like to make one for my step son but I can’t find the pattern anywere :(. Could you tell me where can I find it? Hi Anna – thanks for your kind words! Search ‘Cloudsfactoryon etsy and you’ll be able to find the pattern. 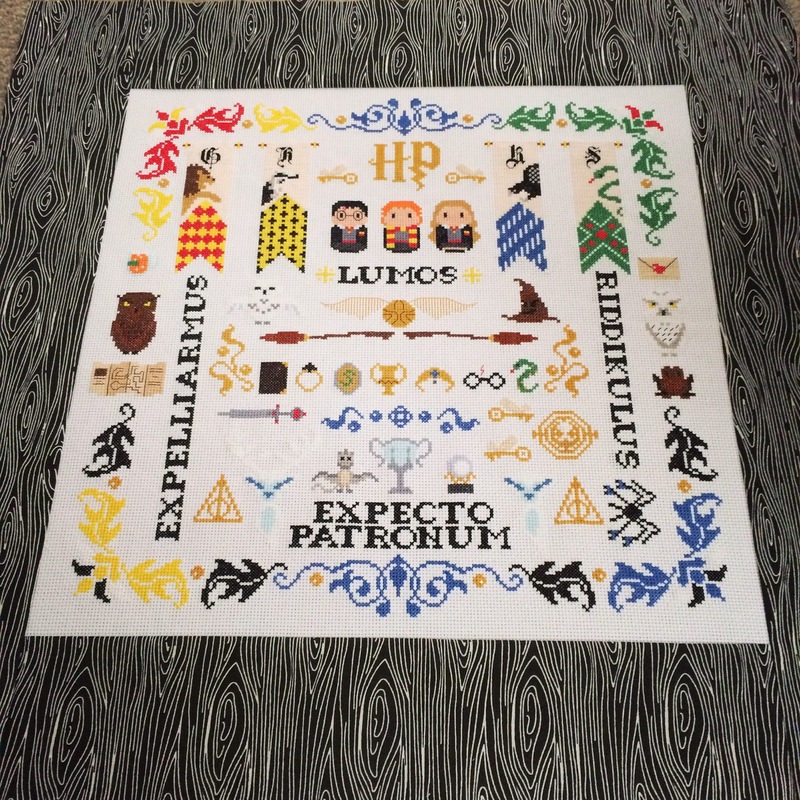 It’s called Harry Potter cross stitch sampler I’m pretty sure.